Located in Southern Europe, this boot-shaped country is one of the world’s most popular travel destinations for a number of reasons that include art treasures, charming towns, stunning landscapes, passionate people and top-class cuisine. It’s a place where you can see some of the most iconic sites in the world – the leaning Tower of Pisa, the Colosseum and the Trevi Fountain, to name but a few. There’s the chance to see renowned Renaissance masterpieces and shop for high-end fashion too. Italy offers a magnificently rich array of sumptuous natural scenery and numerous opportunities to get out into nature. Cinque Terre, Sardinia, and the Dolomites all boast incredible landscapes and fantastic hiking routes. One of the busiest metropolitan cities in the country, Naples is the capital of the Campania region in Southern Italy. 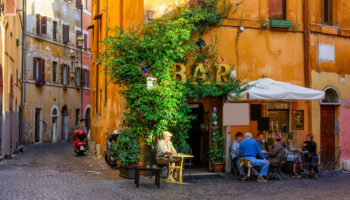 The city of Naples offers a treasure trove of art works and historic sites as well as a vibrant atmosphere of shops, restaurants and nightlife venues. Many favorite Italian foods originated from here such as pizza, spaghetti and parmigiana. These dishes are taken seriously in Naples and usually feature fresh, locally grown ingredients. As it is nearby famous sites like the Bay of Naples and Pompeii, Naples presents an ideal base to stay while exploring the area. The Italian Lake District stretches across Northern Italy. The southern ends of most of the lakes are relatively flat but the northern ends are mountainous as the lakes reach deep into the Alps. Popular with tourists for over 100 years, the Italian Lakes combine good weather with attractive scenery. Garda is the largest lake, and offers stunning scenery, especially in its mountainous northern stretches. 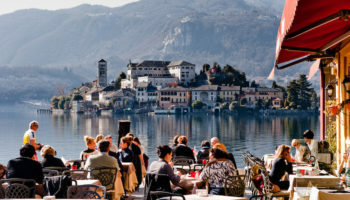 Como is equally stunning, with forested slopes rising directly from the water’s edge. Further west, Maggiore is less popular yet just as beautiful, with several popular family resorts. The largest island in the Mediterranean Sea, Sicily is an autonomous region of Italy that also includes several smaller isles. 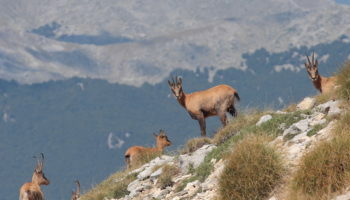 It is separated from the mainland region of Calabria by the 5 km (2 miles) Straits of Messina. Home to every great Mediterranean civilization, Sicily is rich in art and history; from Agrigento’s Valley of the Temples to Palermo’s Baroque churches. The island’s most striking geological feature is Mount Etna, Europe’s tallest active volcano. Meaning “Five Lands,” Cinque Terre comprises the five villages of Riomaggiore, Manarola, Vernazza, Monterosso and Corniglia. Located in Italy’s northwestern coastal region of Liguria, the villages of Cinque Terre feature some of the country’s most beautiful landscapes that include steep cliff sides and wine terraces dating back to hundreds of years. Among its many gems, Cinque Terre boasts a centuries-old complex of hiking paths that offer some of Italy’s most stunning coastal views. The Blue Trail is a paved trail connecting all five of the villages and is suitable for all ages. Nearly destroyed from heavy bombing during WWII, Milan has since reconstructed and now shines as one of the wealthiest cities in Europe. Widely regarded as a mega fashion center teeming in designer shops, Milan also attracts many to its surviving world famous treasures like Leonardo da Vinci’s painting, The Last Supper, the La Scala Opera House, the Castello Sforzesco and one of the world’s largest Gothic cathedral. Nonetheless, Milan sometimes appears less Italian compared to the country’s predominantly historic cities and more of a glamorous city with modern architecture. Situated in Italy’s southwestern region of Campania, the Amalfi Coast is known for its extraordinary beauty that makes it one of Italy’s top tourist destinations. Stretching 30 miles along the southern side of the Sorrento Peninsula, the Amalfi Coast is prized for its picturesque coastline that features shimmering bays, craggy cliffs, lemon tree gardens, multicolored villas and ritzy resorts. 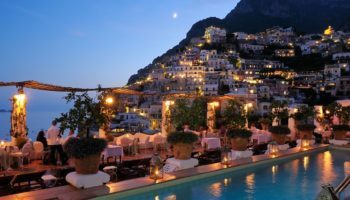 One of the most romantic and posh towns along the Amalfi Coast is Positano with its beautiful pebbled beaches, pastel houses and scenic mountains. One of the larger towns, Amalfi, features lovely plazas lined with restaurants while the town of Ravello is favored for its beautiful villas of gardens and art works. One of Italy’s most visited tourist destinations, Pompeii is a famous Roman city which was buried under several feet of volcanic ash for nearly 1,700 years after the cataclysmic eruption of Mt. Vesuvius. Excavation of Pompeii began in 1748, and the site is yet to be totally unearthed. The site is located near the modern city of Naples. A tour of Pompeii offers a fascinating insight into the everyday life of the ancient Roman world. Visitors can walk along the ancient streets to see the remains of bakeries, brothels and baths. One of the best places to visit in Italy, Venice is a unique city in that is built upon a lagoon surrounded by the Adriatic Sea. Located in northeastern Italy, Venice is an archipelago of 118 islands all connected by hundreds of beautiful bridges and scenic canals. Of the canals, the Grand Canal is most famous and divides the city into two sections. Picturesque waterways and historic architecture make Venice one of the most romantic cities in the world. Venice is often crowded but well worth visiting to see its magnificent landmarks like Saint Mark’s Square and Basilica, Doge’s Palace and Rialto Bridge. One of the most popular things to do is to take a gondola ride along one of its many canals. 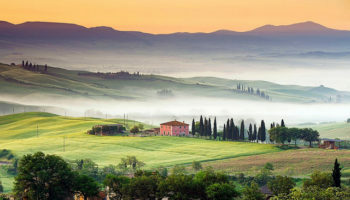 Italy’s most famous region, Tuscany conjures images of beautiful rolling hills, olive groves, vineyards and cypress trees. 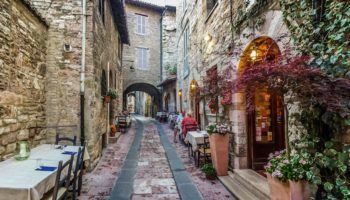 The many pleasures of Tuscany include tasting wine in Chianti, simply relaxing in hill towns such as San Gimignano or exploring Renaissance art in Florence. The medieval city of Siena also holds excellent works of art while its historic center is one of the most popular places to visit in Italy. Elba, the largest of several Tuscan islands, offers great beaches while Pisa is world-famous for its Leaning Tower. 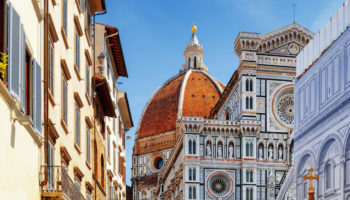 Which destination do you consider the best place to visit in Italy? For me, Venice is one of the most beautiful cities in the world. It is truly magnificent how the place is surrounded by waterways that made the city more unique than other cities. I’ve been to five of the top 10. Cant wait to hit the other five. I totally agree that Rome is the best, although I much love Norther Italy, Rome is the best place ever! Verona is a beautiful city. I went there this summer and it was amazing! Lake Garda is also a beautiful place with lots of small villages and towns nearby for shopping! Great list and some beautiful photos; at a glance the Leaning Tower almost looked straight! 😉 Gotta love Italy! Nothing to say against Genoa but honestly maybe another city from south will be better on that ranking. I mean Palermo. Unfortunaly is knows as the city of the mafia, but it’s so charming and extremely beautiful or Val Di Noto in Sicily there are the most beautiful baroccan churches in Italy and the look-out of the Etna. Sicily have 6 world heritage sites is the second region in Italy after Tuscany that have 7. And deserve to stay in the ranking. No way! This place seems awesome & I can’t wait to go out there in the summer! I’m Italian and I don’t agree with this list. First of all, Naples is one of the poorest, dirties cities in Italy, second of all, in Milan there are just few things worth visiting (duomo, scala, galleria, castello and Leonardo’s “last supper”) but, of course it’s the city of shopping. Then, Genoa is really dirty too (less than Naples) Finally, In Pisa besides the field of miracles there’s nothing else! I don’t mean that there are the worst cities but they shouldn’t be in the top 10 best Italian cities! I would rather suggest you to visit: Turin, Ferrara, Urbino and Siracusa. But I mean, there are so many beautiful places that it’s hard to tell you which one is the best!! Hi guys. I’m Italian, and I’m from Milan. Many people, most of all are Italians, think that Milan is a poor cultural city. That isn’t the truth: Milan has got many treasures that nobody knows. you guys sure hit South Italy too, it’s beautiful at well at North Italy. If you had only 3 or 4 weeks where in Italy would you go? We definitely want to see Rome, so where else? 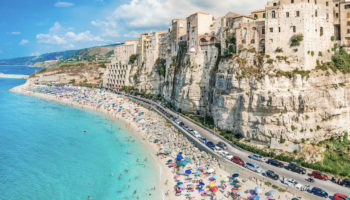 I may be biased but the person that put this list together has never been to the best part of Italy – and to me that is Sicily! The history of this island can not matched by any part of Italy, Sicilian food is most delicious in the world and made with local natural ingredients Sicilian cities stand out because of the foreign influence it has experienced. Sicily has 6 Unesco listed sites and I believe this will be extended to 10 in the near future. 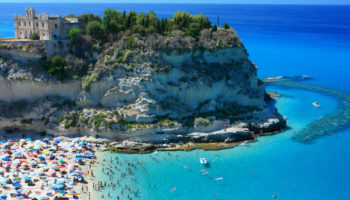 Do your self a favour visit Sicily to find out for your self ,you be will so impressed you will want to go many times. I’ve been to Sicily and yes it’s a great destination. However, for this list I focused on cities & towns rather than large regions/islands. Also, to me its totally irrelevant if something is a Unesco site or not. I spent only 5 days in Sicilia. NOT ENOUGH. It’s such a lovely place to visit. Food and people are equally our favorite in Italia. What such an unique experience to climb and walk onto the dark land of Etna at 10000 feet and admire the mediteraneen sea almost smaller than you. I don’t know about Gene and Milan but I will return back to the south for sure. Pompei should replace Pisae. No kidding. You have totally forgotten places in the southern Italy such as Bari, Otranto, Gallipoli, Lecce…. And I think that Dolomites are beautiful too ;). 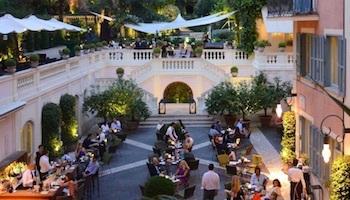 I have been to Rome, and the Amalfi Coast…..both deserve to be there. I think Salerno in the Campania region deserved to be there too. Just spent 3 weeks in Italy. travelling through Rome, Florence, Bologna, Amalfi, Sorrento, Pompeii, Venice, MIlan, and went to Pisa on a day trip. 1. 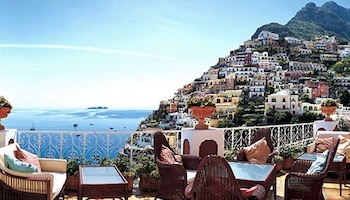 Amalfi – Amafli and the Amafli coast is absolutely unbelievable. The most beautiful place I travelled to on this trip. The beach, food and atmosphere is to die for. 2. Venice – what can I say, everyone knows Venice. I found it was a massive tourist trap and over crowded but, the city is beautiful and would go back. 3. Florence. 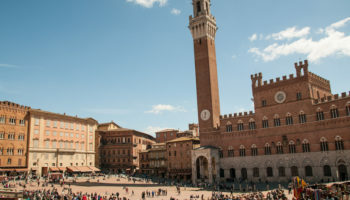 Close to everything, a day trip to Bologna or Pisa is so close, and with attractions like academia (david) and uffizi museums plus much more it is a must do. @Ryan, great info. I also felt Bologna was a bit underwhelming compared to some other destinations in Italy. I Love Italy.I Love Rome.Italy is a really Awesome Country.recommend you visit Italy as fast as you can and enjoy it. Nice Article, if you can not go for longer, the best places have been mentioned. If I could add something, as I am Italian from Venice I could suggest to visit the close places around like Treviso, Castelfranco and the beautiful Bassano del Grappa, the gorgeous Asolo. I absolutely adore Italy. Been to a few both on cruise and by plane ( and Eurostar too ). How I LOVE Sicily ( becos of Godfather ) ; Venice ; Bologna ; Lake Como ; Sardinia ; Milan ; Rome ; Verona ; Naples ; Florence ; Pisa, Livorno….beautiful food, wine, people, scenery. I used to love the UK esp London but now it has to be Italy and everything about it. France comes a close third although it is getting rather tired and shabby. I recently visited Italy. I would say that it is one of the most beautiful places in the world. I visited it as part of an overall Europe trip and wanted to stay longer. We visited Rome first. Next we visited Cinque Terra staying in Manarola but completing many of the available walks to the other towns. Absolute bliss. Anyways I believe that cinque Terra should definitely be on your list if you are planning to visit and should definitely be further up this list. I loved Rome and believe that it deserves to be equal with Cinque Terra as they were both divine for their own reasons. My husband and I are trying to plan a trip most likely flying into Rome. There are SO many places to see but we will only have 7-8 days…where should we go to make the most of the short time? every place in Italy I’ve been to is very unique. I love the character of each city. however, having to choose from, yet the best is RomanTIC Venice. The best place to visit in Italy is Naples. Its the real Italy and its built right on the water, so the water views are spectacular and since the tourists have not found it the prices are still reasonable. From Naples, it also seems like there are more day trips than the other tourist destinations. From Naples, you can hit Pompeii and the Amalfi Coast very easily, the island of Capri is straight out from Naples, which is a great day trip, but I prefer the Islands of Ischia and Procida. You can hike to the top of Mount Vesuvius, check out Herculaneum, which I like just as much as Pompeii and it is better with kids than Pompeii. Also, if you like shopping, I find that Naples has the best shopping I have found. Much better than Milan. The shops are more reasonably priced than any other city and there are lots of leather or fabric factories right in Naples that you can buy from shops on Via Toledo and other shopping districts and I almost forgot to mention Christmas alley and Spaccanapoli. Probably one of my favorite neighborhoods in Naples. If you are in Rome and you miss the Naples area, you probably made a big mistake. It is too close and there is too much to miss out on this beautiful area. This site is very helpful, now I know where to go for vacation. I have only been to Rome and absolutely love it! we are going to be in Croatia for 3 weeks and I would like to go to Venice or Naples for a couple days, but can’t decide, which one would you go to?